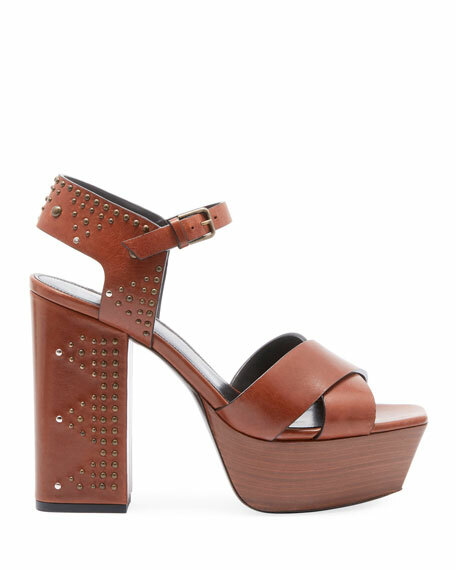 Saint Laurent "Farrah" leather sandal with triangular studded design. Rene Caovilla calf leather sandals with mini jeweled studs. 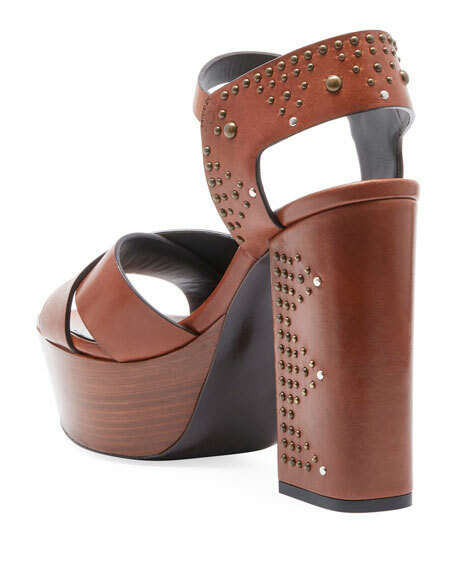 5.3" wedge heel with high platform. Open toe. Cross-strap upper secured by center knot. Slide style. Leather lining. Signature glittered outsole. Made in Italy.